Would Prince really have approved of the music industry's attempts to keep him in the front of our minds? 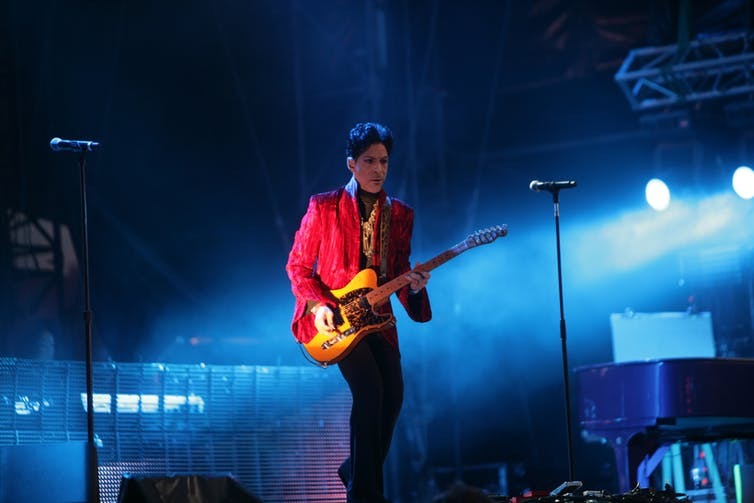 Two years after Prince Rogers Nelson’s untimely 2016 death in Minnesota from a fentanyl overdose, the Prince estate and the music industry are seemingly ramping up their efforts to keep the Purple One in the forefront of our minds with a slew of posthumous releases and re-releases. But with 100m records already sold, would Prince have approved of all this activity in his name – and is it really fair to fans? In August, Sony released 23 hard-to-find albums for streaming and download that were originally from the period 1995 to 2010. One of the records in the package is a powerful 37-track compilation called Anthology 1995-2010 which functions as a “best of” from this period. “Years of Genius Hiding in Plain Sight”, ran the headline of Rolling Stone magazine’s review. Tracks include Emancipation, Prince’s anthem celebrating his sense of liberation from the tyranny of his record companies, and Black Sweat, a mechanistic slice of industrial funk that both objectifies and celebrates black male sexuality. But more controversial is a new nine-track posthumous album of unreleased Prince recordings. Announced on the date of what would have been his 60th birthday, Prince & A Microphone 1983 was recorded on September 21, 1983 in the artist’s home studio in Chanhassen, Minnesota onto cassette tape. It features Prince singing and playing the piano. Tracks will include an early version of Prince classic Purple Rain, a cover of Joni Mitchell’s A Case of You, and the spiritual Mary Don’t You Weep from the soundtrack of director Spike Lee’s comedy-drama movie BlacKkKlansman. This raw, intimate recording – which took place at the start of Prince’s career right before he achieved international stardom – is similar in format to the Piano & A Microphone Tour that he ended his career with in 2016. So does the quality of the tracks and this bookending of Prince’s career justify the release of what could be described as some home noodlings recorded onto a less than satisfactory audio recording medium? It’s certainly a long way removed from the carefully choreographed planning behind David Bowie’s final releases. Ahead of the release, the record company has drip-fed fans with three songs. I’m looking forward to hearing the whole album, but here is my impression of what I have heard so far. Mary Don’t You Weep is a gospel classic covered by artists including Aretha Franklin, The Swan Silvertones, Pete Seeger and Bruce Springsteen which was originally recorded by gospel pioneers The Fisk Jubilee Singers in 1915. Prince reinvents it as a deep minor blues track that focuses on the secular blues theme of male abandonment rather than the African-American Christian narrative of resistance that the song traditionally embodies. Prince’s voice swoops and growls through the octaves with the sparse rhythmic piano accompaniment providing the perfect backdrop for his impassioned vocal. Why The Butterflies is the third of the tracks released so far. There are several false starts until Prince settles into a key and rhythmic shape. You can hear him playing with melodic and rhythmic ideas gradually teasing out lines from what was maybe just an initial lyrical concept – it certainly isn’t a fully developed song at this point. So is this hard-nosed critical appraisal is really fair? And will his “true” fans really care if the finely wrought production that is the hallmark of the best of Prince isn’t present here? Is this album selling both artist and audience short? The tracks do give some insight into Prince’s work process and offer fans an intimate seat next to the piano as Prince plays through his ideas. But, for an artist who was so notoriously controlling about his product, it’s unclear whether this is something he would have wished for. Posthumous albums have had a mixed reputation over the years, ranging from the essential, such as Nirvana’s five-times platinum MTV Unplugged in New York or Otis Redding’s 1968 classic (Sittin’ On) The Dock Of The Bay, to the controversial – there was legal action to determine whether all the lead vocals on Michael Jackson’s 2010 release Michael were performed by the artist or by Jackson family friend Eddie Cascio. Sometimes, artists miss out on their own success – no material recorded by legendary blues pioneer Robert Johnson was released until after he died in 1938, while Washington DC-based balladeer Eva Cassidy only came to international prominence after her untimely demise from melanoma. Too often an artist’s death gives their record companies or the artist’s estate an opportunity to cash in. Old demos, song fragments, B-sides and other sonic paraphernalia are corralled into something that is meant to resemble a coherent and worthwhile collection. Reviewer Jon Pareles commented in The New York Times that Amy Winehouse’s 2011 posthumous release Lioness: Hidden Treasures, “ekes out all it can from the archives” being “just the scraps of what might have been”. But what of Prince? We will never know what he really thinks but in a 2004 interview in Rolling Stone magazine he spelled out his desire for independence and the power to define himself, away from the influence or pressure of the music business: “Despite everything, no one can dictate who you are to other people.” In my opinion, perhaps the record companies and the people who run Prince’s estate should reflect on that. Adrian York is a Senior Lecturer in Commercial Music Performance at University of Westminster. This article is republished from The Conversation under a Creative Commons license. Read the original article.